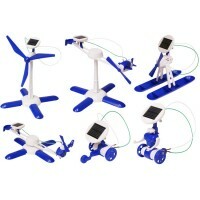 Make this mobile solar glider take flight powered by the solar energy! 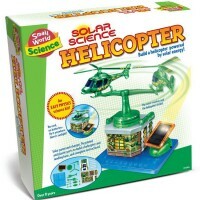 Build an airplane mobile that can be powered by the sun light! 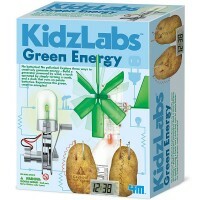 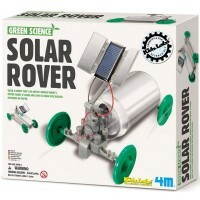 Solar Plane Mobile Green Science Kit is a new 4M eco-engineering toy that lets the kids experiment with the alternative energy. 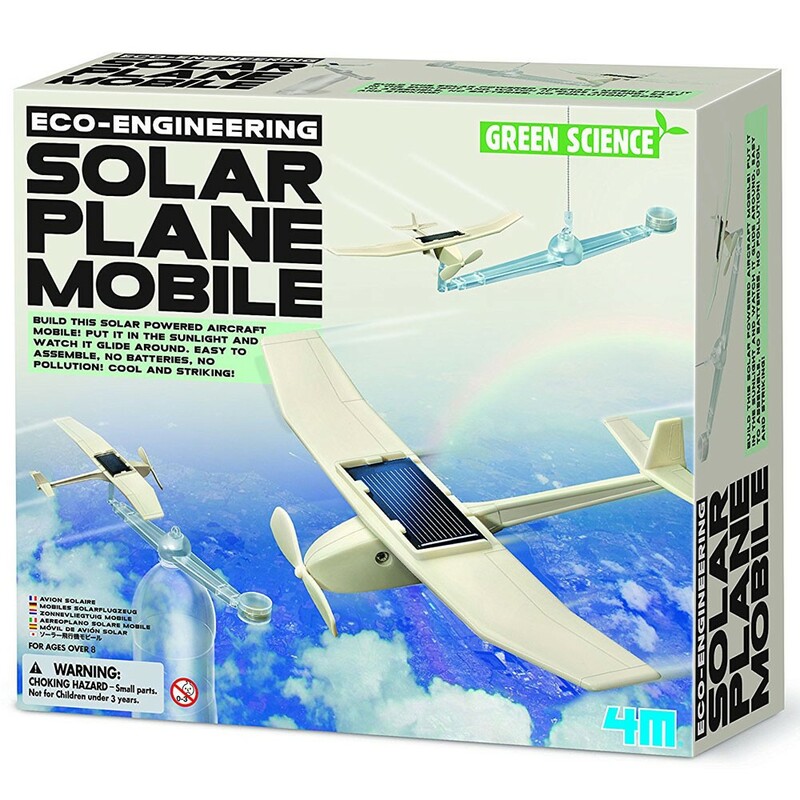 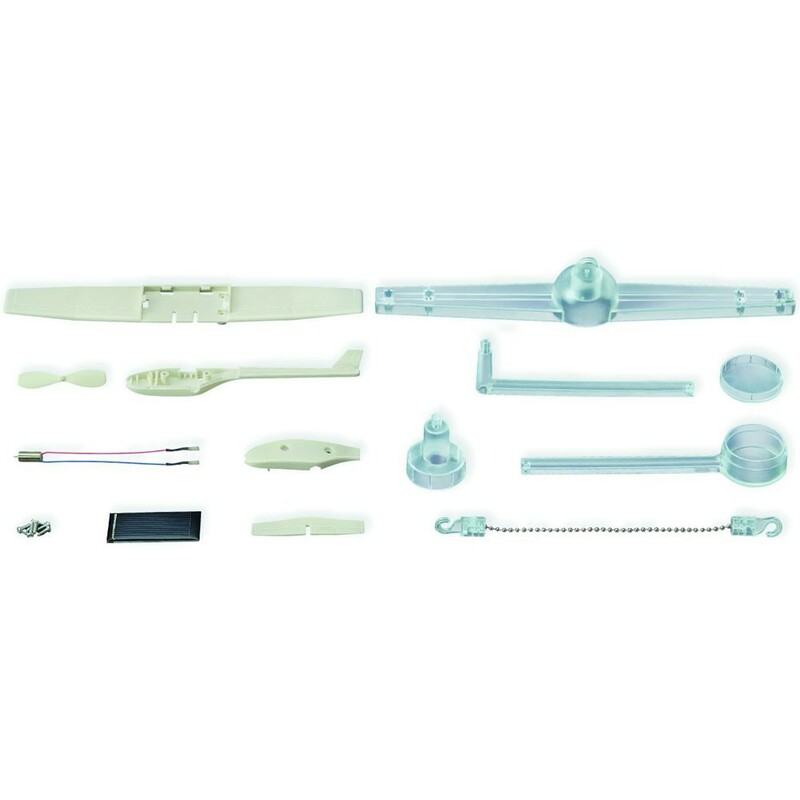 Follow the instructions from this Educational Toys Planet green science kit, assemble a solar glider from the enclosed parts, attach the propeller to an empty plastic bottle, and launch the plane fly around. 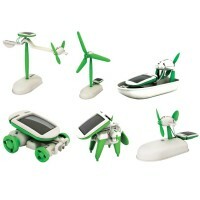 The solar power kit contains plane parts, propeller, motor, wight components, and building instructions. 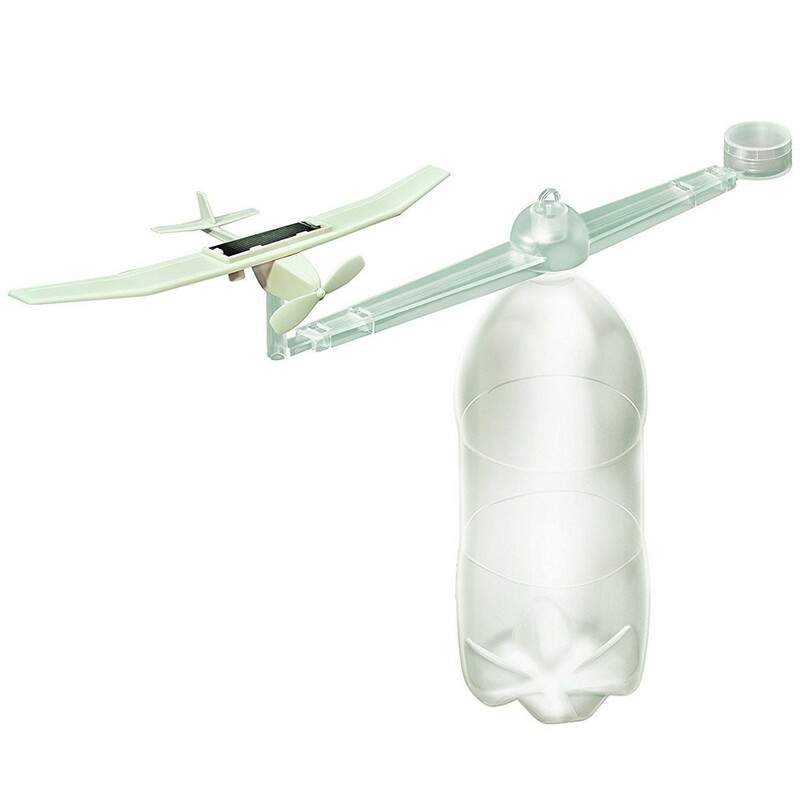 In order to assemble the plane and conduct the experiments kids will need their own large empty plastic bottle, coins and small screwdriver. 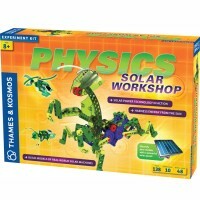 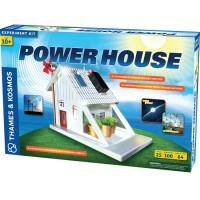 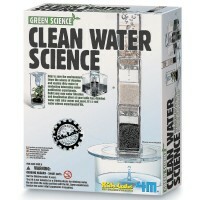 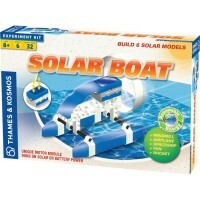 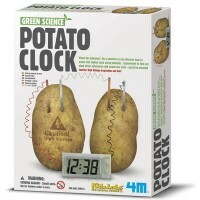 Dimensions of package 2" x 8.38" x 7"
Write your own review of Solar Plane Mobile Green Science Kit.